Much of the texture of an object goes undiscovered when we study something with our eyes. But when we feel it with our fingers or even our cheek, we are able to discover the bumps, nooks and crannies of an object. Printing allows a viewer to discover the textural qualities of an object by sight. 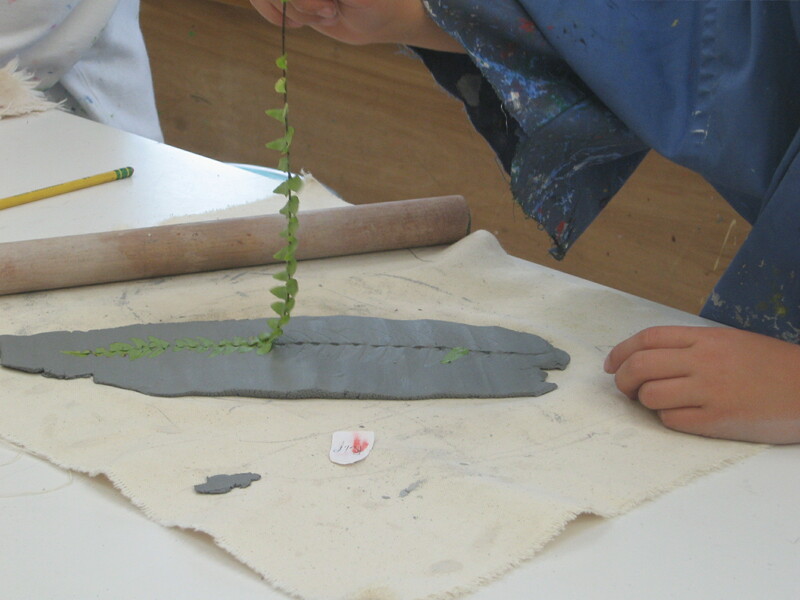 By printing nature into clay and glazing it with this specific technique, students will be able to now view the texture with their eyes that they could only feel with their hands before. 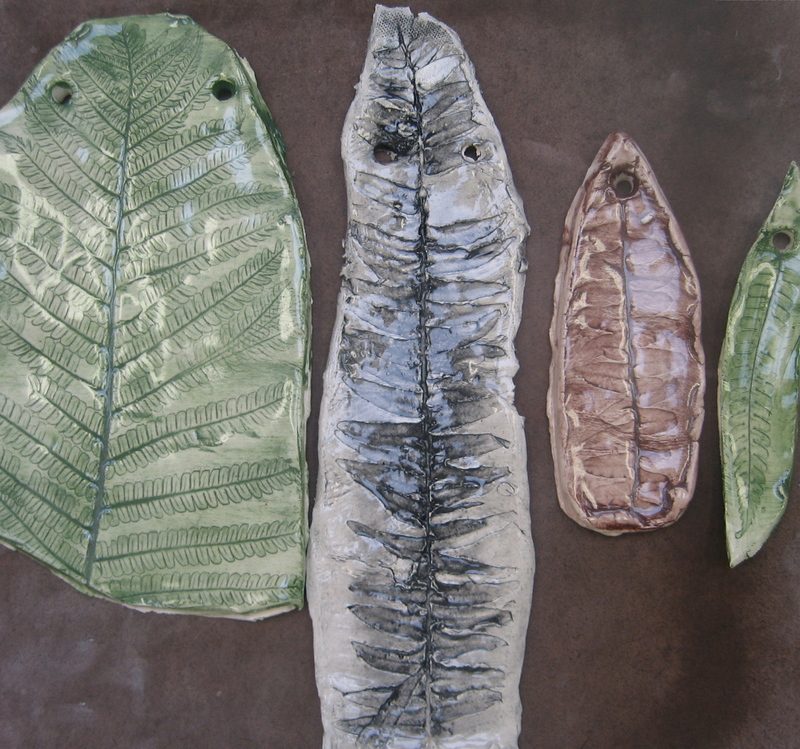 View our most recent faux fossil creations that skip the clear glaze for a more natural, authentic fossil appearance. 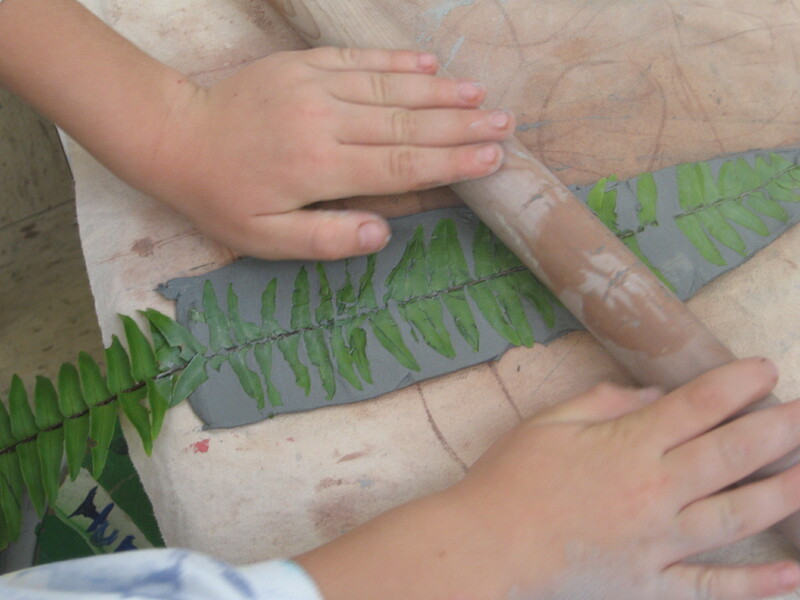 Prior to this activity, students take part in monoprinting with ferns and nature. They carefully roll white ink over a fern (from the center out) and press on blue or black paper. Fadeless paper works well for relief and monoprinting with students because it is thin and smooth and therefore transfers texture easily. Motivation: I have often used this activity as a way to integrate with science when students are learning about fossils. I will introduce the medium and invite students to create faux (fake) fossils using nature and clay. 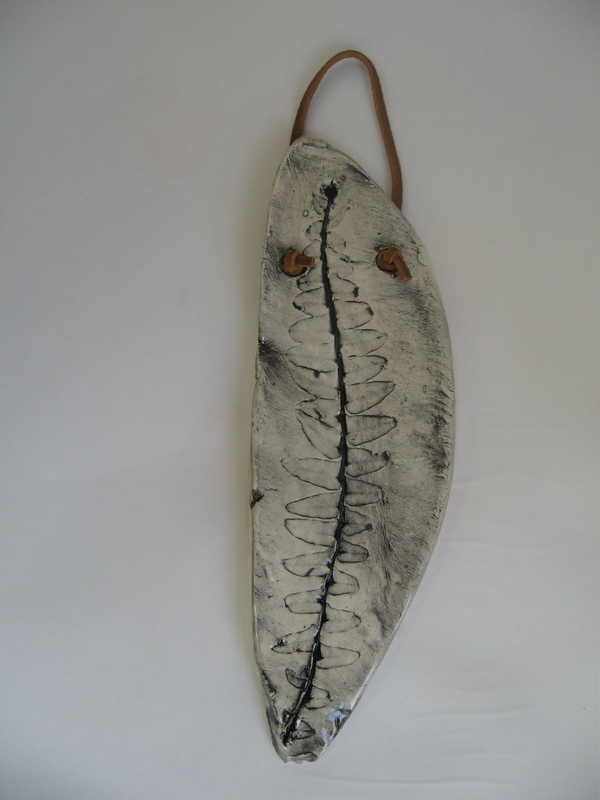 Any textural item can be used to make prints in clay, however, nature prints create a stunning quality product. I discusse texture and invite students to share ideas about nature and texture and how, as artists, we may be able to tell a story of texture in a work of art. Materials: White clay (fires to cone 06-04); Underglazes ( I tend to offer earthtones for this technique such as Jet Black, Hunter Green, and Red Brown ); clear gloss glaze; clay sponges. I buy all my ceramic materials from Ceramic Supply Inc. in New Jersey. A link to the glazes can be found by clicking on the colors above. Skill Level: Third Grade and above.